Highly concentrated odor counteractant attacks and neutralizes unpleasant odors. Environmentally friendly, acetone-free formula is VOC Compliant in all states. 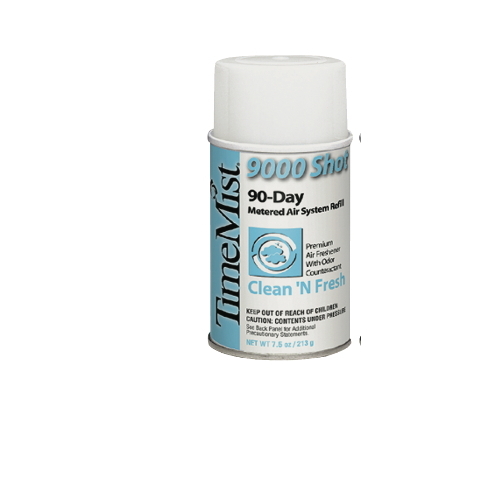 For use with TimeMist® 9000, 1000 and Classic Series dispensers (sold separately). 90-day refill. 4 refills per case.